"BACK TO THE HOLD HOUSE"
Did you ever wonder about the coincidences between The Beatles and The Smiths, besides their great music, their revolutionary role, the iconic figures and the partnership between Lennon/McCartney and Morrissey/Marr? How about the fifth element? On the Smiths side it was Craig Gannon, someone I always wanted to know better since besides being a great musician he moved on in his own path, leaving that "ghost" behind and somehow it's a good chance to talk now about those early years and the present ones too. With no effort at all throughout this interview, Craig will conduct us perfectly into his thoughts and ideals from music understanding to cultural values and even without mentioning (he or i) the words like X-Factor, Pop Idol (or Idols as here in Portugal), etc, we are lucky enough to know is opinion on the subject. To join us, in this interview, there are three videos. I suggest you to watch the bellow video first, since gives you a general idea on Craig mission with The Smiths. The other two are mentioned on this conversation and are pure great pop/rock moments. Sometimes I know it can be difficult to you since the shadow of The Smiths will always be around. So, I’ll pull some questions about that time but at the same time cover some areas that are not so common. First of all what are you doing right now? I've just finished the music for an EastEnders special series for the BBC. Just before that I composed the new theme music for the new series of Outtake TV also for the BBC. Outtake TV has been running for a few years but they wanted a whole new re-think in areas including music, presenter and production etc. I've also been producing a few artists recently and I'm in the middle of producing the next single by a band called Help Stamp Out Loneliness. In addition to these projects I'm writing and recording with Deadly Avenger who I've worked with a lot in the past. We're writing for a couple of new bands at the moment and we're also writing more cinematic music for inclusion in film & TV. What are you projects for the near future? I've actually just been asked to do another EastEnders special (it's the 25th year anniversary of EastEnders this year!) and that should be finished this week. I'll then be concentrating on the project with Deadly Avenger which is an ongoing thing anyway, we have periods where we don't do anything together for a while as we work on our separate things. Also in the pipeline is a full length film in pre production at the moment which I've been asked to write the music for although I probably won't start working on the music until later in the year or even early next year. I'm bound by a confidentiality agreement at the moment until things start to fall into place but there are a couple of Hollywood stars involved. I'm also due to start writing for a documentary for the USA on the subject of polyamory (people who have multiple relationships) which I was due to start last November. It'd been delayed until early this year so that should be coming up soon. In addition to these various projects I write songs with a few regular co writers for submission to bands and singer songwriters etc. Some people may not know but you were a member of Aztec Camera also for a short period. How was that experience what was your “status” at the band at those early years? How’s working Roddy Frame? Roddy is one of the most talented people I've ever met and I was and still am a huge Aztec Camera/Roddy Frame fan. I was with Aztec Camera for about a year when I was sixteen years old and I played with Roddy again in 1998 touring his first solo album 'The North Star'. I loved working with Roddy not only because we were and still are friends and have a mutual respect for each other but also because in my early days in Aztec Camera I think I learnt so much from him as a guitar player and songwriter in such a short space of time. Before Aztec Camera of course I'd only played with musicians of average ability given that I was in bands at school etc so to suddenly start playing with amazing musicians at sixteen completely opened my eyes and ears. We all know and I’ve watched your MySpace interview (I will post it to in the blog if you don’t mind) that you were with The Smiths from during almost all the year of 1986. You’ve played rhythm guitar on some tunes like Ask and Panic. Since in my blog I always want people to fully understand all the key figures on the music scene tell us what is exactly a rhythm guitarist? Well, contrary to popular opinion I was not a rhythm guitar player. It seems that because people know I joined The Smiths as a guitar player they think it must have been Johnny playing lead guitar and myself playing rhythm but it really wasn't like that at all. Occasionally, on songs such as 'There Is A Light' and 'Bigmouth' that is how it worked live but that was the exception rather than the norm and even then we were both mostly playing rhythm on those two songs. On the tracks you ask about 'Ask' and 'Panic' my guitar parts were definite worked out parts and never just strummed. On 'Panic' especially you can hear my guitar part very clearly on the record and it's an arpeggio which starts at the intro and carries through the rest of the track, it was a a similar thing with the guitars on 'Ask' and the other Smiths songs I played on. On both those tracks the rhythm guitars are myself and Johnny playing acoustics. I'm sure most people who know about guitar playing will know that there are a lot of arpeggios and picked chords in Smiths records and when I joined the band we decided that on some of the songs written before I joined I would play some of those great guitar parts which would then give Johnny more freedom to add his other parts which I think worked out great. A good example is in 'I Know It's Over' with those chorus arpeggios. Another was 'How Soon Is Now' where I played the main tremolo guitar riff which gave Johnny the freedom to add the lead lines. I remember when I first started playing guitar people used to ask am I a lead or rhythm guitarist and I could never get my head around that. Of course there are some great rhythm players who can't play lead to save their lives and vice versa but I'm sure most ambitious and aspiring guitar players would want to cover everything as well as possible. Later with Morrissey in his solo work you have played again the guitar - and we can see you in both videos (Last of the Famous….and Interesting Drug). What was your role in composition? Let me tell you that Interesting Drug is one of my favorite guitar riffs from all times, very powerful. Was Morrissey to “Ask” you to join the gang again? 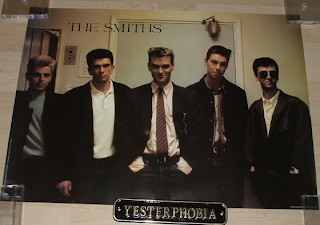 Those sessions that produced the singles 'Last Of The Famous International Playboys' and 'Interesting Drug' were originally to record the follow up album to Morrissey's album Viva Hate. 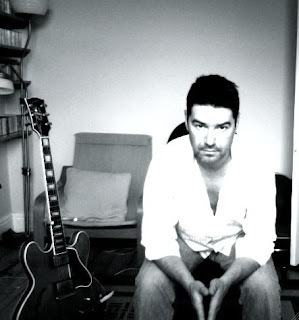 Stephen Street had written the songs for the album with Morrissey before I was brought on board and the idea was to record around twelve or so of those songs which were, as with Viva Hate to be produced by Stephen. Stephen called me up one day on behalf of Morrissey who wanted me to play with him again to ask if I'd be interested in recording the album. It'd been quite a while since I'd last seen Morrissey (which was when I was in The Smiths) but everything went really well from day one of recording. Unfortunately the album as intended was never released due to certain reasons but we'd actually recorded most of the songs originally planned which included the two singles 'Last Of The Famous International Playboys' and 'Interesting Drug'. Other songs recorded at that time have been released over the years I think, songs such as Lucky Lisp, Michael's Bones, Such A Little Thing etc. I always liked instrumentals. I admire Vini Reilly, for me one of the greatest guitar players ever and very underrated. Why they have been almost banned from pop bands? I remember “The Draize Train” for instance. It was also a good time for the vocals to rest. Give me your thoughts on this Craig. Vini Reilly is a fantastic guitar player and I agree is very underrated much in the same way Roddy Frame is. Thankfully the people who do know about Vini Reilly/'Durutti Column' and Roddy Frame and Aztec Camera do recognize them as great musicians. Unfortunately as we know talent doesn't equate to success or recognition as a musician and in today’s reality TV, celebrity obsessed society too many people are more concerned with either copying something that's been done a million times before and trying to sound like someone else or making music that'll appeal to the lowest common denominator to bring more fame and fortune. Anyway, yeah I've always liked instrumentals and I really like the Smiths tracks 'Oscillate Wildly', 'Money Changes Everything' and 'The Draize Train' which I played on. I think 'Money Changes Everything' is such a great guitar riff. I remember Johnny playing me a demo of 'The Draize Train' at his house just before I joined the band and he said he thought it sounded like car chase music which is true, that's definitely a good point of reference for me! Getting back to your question, I do love a lot of pop music and there are some fantastic records being made but I also think so much of it is dull and devoid of anything to make it worth listening to more than once and a lot of the time not even once. I'm generally talking about pop music as in chart music. On the guitar point there are some inventive guitars in a lot of pop music today but at the same time quite often the guitars are playing a secondary role which is fine, the main thing in producing pop music in my opinion is the song and how best to serve and present it. Obviously being a guitar player I'm biased but a lot of songs have either a a part mixed really low just to have a guitar in there for the sake of it or a mundane strumming part although that works if there's another feature vocally or musically. I know some people who don't like the sound of a guitar at all and would rather hear a fizzy synthetic synth. I grew up surrounded by guitar music and film soundtracks and I was always attracted to interesting guitar parts whether it was The Beatles, Television, XTC etc or the guitars on some early Lalo Schifrin, Ennio Morricone or John Barry film scores. What are your favourite new bands or what acts do you listen more frequently? I don't really listen to many bands that are around at the moment but those I do are Goldfrapp, Air, bits of Gorillaz, The High Llamas. The music I most listen to would be The Beatles, Beach Boys, Love, Jellyfish, The Monochrome Set, Burt Bacharach, XTC, The Pale Fountains, Television, Jerry Goldsmith, Jerry Fielding, Ennio Morricone, Serge Gainsbourg, John Barry, David Axelrod, Bartok, Bernard Herrmann, and the biggest genius of them all, Stravinsky. Last, on stories beyond music themes. You are turning more classic, right? Tell me what’s behind “Death of a Fireman (strings)” (Listen to in on Craig's Myspace page)? Well, I've got a thorough background in classical composition, harmony and orchestration etc and it's something that I'm constantly studying but it's not that I'm turning more classical, it's more to do with the fact that I write a lot for film or TV and I write what I think works best for the situation. I love all kinds of music whether it's classical or guitar groups or whatever and I never restrict myself to writing or listening to just one or the other. That piece of music 'Death Of A Fireman' was written for a very sad part of a film which needed a certain emotional element adding but at the same time I was conscious not to go over the top. The most appropriate way I found to write for that scene at the time was to just use strings and not fill it out by adding more instruments and I think it worked well. The last two series I've written for have been very 'Indie' guitar based but the next thing that comes up could call for something that incorporates classical and pop or whatever, every project can be completely different to the last. I approach each project for media with an open mind and if what's needed is heavy guitars, a serious traditional 'classical' score or anything in-between I'm confident in my ability to be able to come up with the goods, as they say..